Engeny is proud to announce that we have been endorsed by Melbourne Water for our capability in undertaking retarding basin consequence assessments. Melbourne Water has acknowledged our skills in extreme flood hydrology, dam breach estimation, estimation of population at risk and potential loss of life, and the assignment of an ANCOLD consequence category. – Troups Road North Retarding Basin, Troups Road North Development. 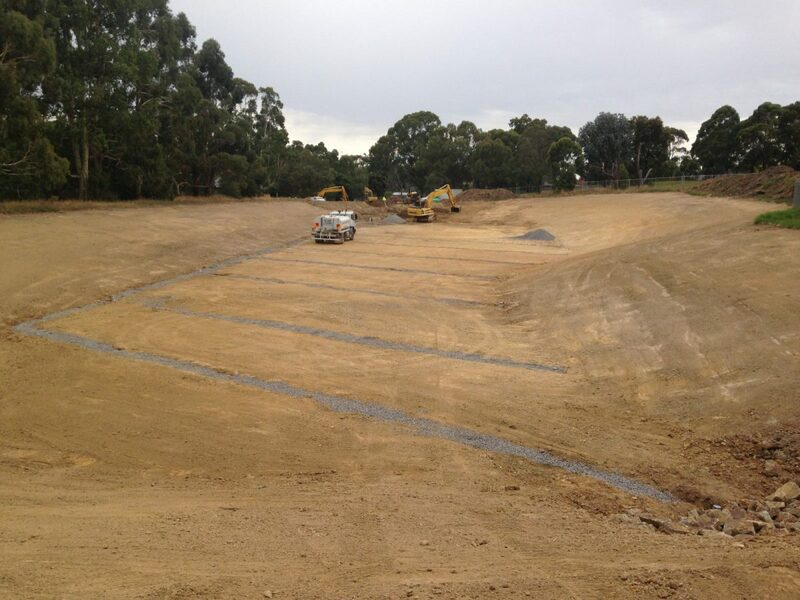 We also offer retarding basin design and construction services and can optimise your retarding basin design to satisfy ANCOLD and any Melbourne Water specific requirements. We have found that the best outcomes are achieved when the consequence assessment and retarding basin design are completed in parallel as it allows for design optimisation that can reduce the burden of ongoing dam safety management. Please contact us if you would like to know more about our services.